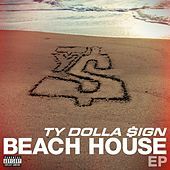 Ty Dolla $ign leads a wave of singers bringing the ratchet tone of L.A. club rap to R&B. (In fact, a lot of people mistake him for a rapper.) The strip-club darkness of "Or Nah" sums up this Beach House: "Is you really 'bout your money or nah?/ Can you really take d*ck or nah?/ Can I bring another b*tch or nah?" It follows a pair of similarly titled mixtapes, but these songs are mostly new except for the lead hit "Paranoid" and "Work" (originally titled "These Hoes"). "Never Be the Same" adds some biographical context to a man with a skeptical view of life and sexual relations.